Basically, paper-over-board books are hardcovers without a dust jacket. But not those musty, dowdy books you might find in an abandoned corner of a library . . . Printing technologies have come a long way, and now paper-over-board books can be as vibrant and attractive as any paperback, and printed in the same trade size as well. This format is pretty common among European presses: Proa Editions in Barcelona produces a gorgeous line of paper-over-board books, as does Wydawnictwo W.A.B. in Warsaw, another Polish publisher, Swiat Ksiazki, and Karolinum Press in Prague (which also uses some of the most buttery paper I’ve ever stroked). Marketing was the primary motivating factor in our decision making process. Our paper-over-board books would definitely stand out in the bookstore and would be very classy (or so we thought). And we alsothought (although as you’ll see below this gets a bit complicated) that readers would appreciate being able to get a nice looking, durable hardcover at a very reasonable price. Looks aside, price is another compelling fact for presses to publish in paper-over-board. George Gibson, the publisher of Bloomsbury USA, which recently released The Macrophenomenal Pro Basketball Almanac by the writers at FreeDarko.com in a paper-over-board format echoed this sentiment. “Paper-over-board allows us to or effectively offer a hardcover at a lower price, as our production savings is considerable. This is especially important for books that have a real price ceiling.” If it had a dust jacket, the price on the Macrophenomenal Pro Basketball Almanac would jump from $23 to $26 or more. But this format – at least for trade fiction – is still a bit baffling to customers and booksellers alike. Customers assume that anything in hardcover is going to be expensive and available in paperback one year later. And most people who buy literary fiction (especially in translation) primarily purchase paperbacks. Not to mention that bookstores are never quite sure where to stock these either, since they tend to keep separate shelves for new hardcovers and new paperbacks. So this special format that combines the durability of a cloth edition with the low cost of a paperback — a hybrid if you will — gets lost in between. Unfortunately, this has proven to be a format whose time hasn’t come. The Open Letter’s mission (which is clearly stated on its Three Percent website) is to get international literature into the hands of as many readers as possible. Since the paper-over-board format is presenting some obstacles, this fall we’re switching over to doing all paperback originals. 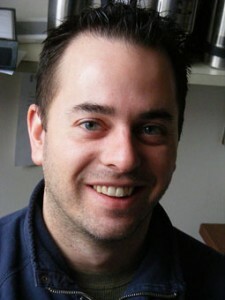 Chad W. Post is the founder and Editor-in-Chief of Open Letter Press at the University of Rochester.